Ideally, the only thing you would need to do to get people to read a blog post is to consistently post great content. 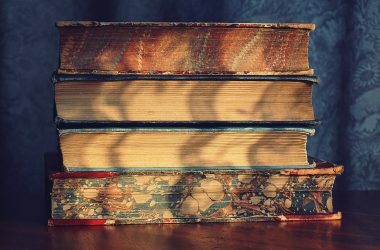 As long as you keep on writing something that people will want to read, you should be getting plenty of traffic, right? 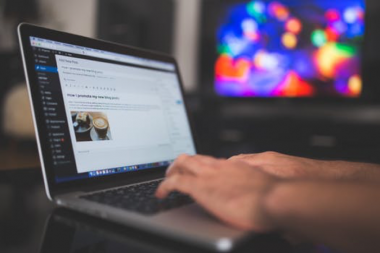 While writing great content is still the most important part of maintaining a blog, you still cannot underestimate the importance of social media. The easiest way to gain readers for your blog or just getting traffic to your website is to make it as simple as possible to share your content on social media. By this point, that isn’t anything new; almost all blogging platforms allow you to add social shares to your posts. The only problem with this is that they are the same shares that everyone uses. 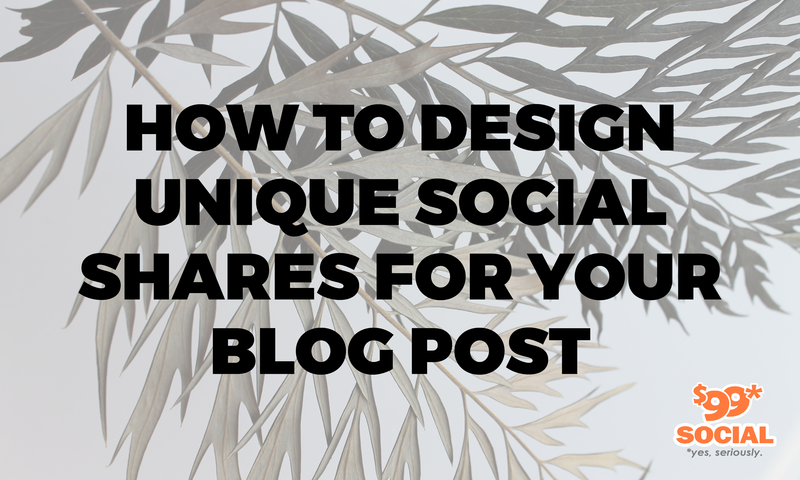 If you really want to make your blog stand out on Facebook, Pinterest, and Twitter, it helps to make social shares that stand out as well. Even if you don’t use Pinterest that often, you can still get some easy traffic if you add some highly pinnable images to your blog. Instead of placing one horizontal picture near the top of a blog post to act as a banner, add several vertical images whenever it seems appropriate to do so. An image that is 735 x 1102 pixels is great for any Pinterest board, but something that is 735 x 735 is also great because it is an ideal size for either Facebook or Pinterest. In any case, visitors to your blog can pin these images to their Pinterest board, which will essentially act as a link to your blog. If you want an image that looks great on a Pinterest board but still acts as a relevant visual aid for your blog, you can also include an infographic. You can find countless infographics detailing any subject imaginable online if you take the time to look, or you can create your own infographics with some handy templates and easy-to-follow guides. No matter what you do, these images are easy to share on just about any social media platform, and they add a lot to any blog post. Video advertising on Facebook and other social media platforms has really taken off over the past few years, and you can take advantage of it even if your blog posts are still mostly text. You don’t even need to make very long videos to share, either; a 30-second clip that covers some of the ideas of your latest blog post will be enough. In fact, it will probably be even easier to share a short clip rather than a full-length video. It will still grab people’s attention when it is shared across social media. If you want to be even shorter and to-the-point with your social media shares, you can opt for a GIF instead of a video. GIFs are short, looping videos that are usually a couple of seconds long. They are shared in much the same way that a thumbnail image is shared on social media, and they can be used to express humor or to give your text some context. GIFs are easy to find online these days, and they can be made fairly easily. Instagram even has an app called Boomerang that allows you to create GIFs that play forward and backward instead of a loop like with most GIFs. If you like to create Instagram social shares, try installing it and see what you can create. Twitter may be best suited for microblogging in 140 characters or less, but many users have been telling longer stories in multiple tweets. These are admittedly harder to read than a traditional blog post, but they are fun and allow you to get creative with your storytelling. They can also be used to pique users’ interest in what you have to say on your actual blog. However, the real reason to do this if you want more traffic to your website is because tweets can be easily shared. You might start by posting to your followers, but those followers can post what you’ve written to their followers, and pretty soon you have a tweet that may have been seen by thousands of people, and at least some of them will probably check out your blog if you’ve linked to it in any of your tweets. This may not be the same as putting a social share on your latest blog post, but it’s still a great way to get your content out there and spreading across social media platforms. We kind of touched on videos social shares before, but they are even more effective when they are posted to a website that is specifically designed for sharing videos. The great thing about posting a video on YouTube is that you can make any video that you want, and you can reshoot and edit it until you have something that you’re comfortable sharing with others. Be sure to include a link to your blog in the description of the video, and don’t be afraid to mention your blog in the video itself. 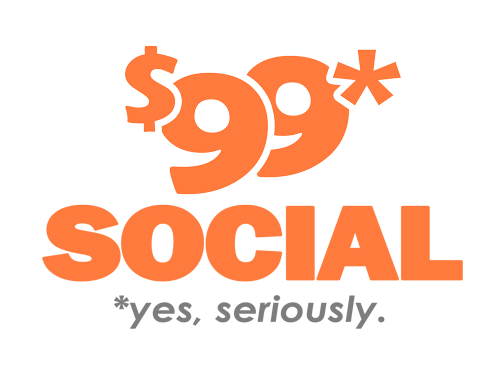 Of course, you should be sharing your own blog posts on your own social media accounts if you want them to get noticed. Just about everyone has a Facebook account at the very least, so share your own blog with your friends before you share it with anyone else. Just as with the Twitter example from above, at least some of your friends will be willing to share your blog post, especially if it comes with a fun image that will grab people’s attention on their timelines. That can be a great way to build an audience, especially if you’re still starting out with your blog. No matter how you choose to share your blog, the most important thing is that you keep writing. It’s great to make your content easy to share, but you still need to have content that people will want to share. Keep these tips in mind, and good luck.